New World: this is the literal meaning of the name of this highly emblematic Osaka working class area. 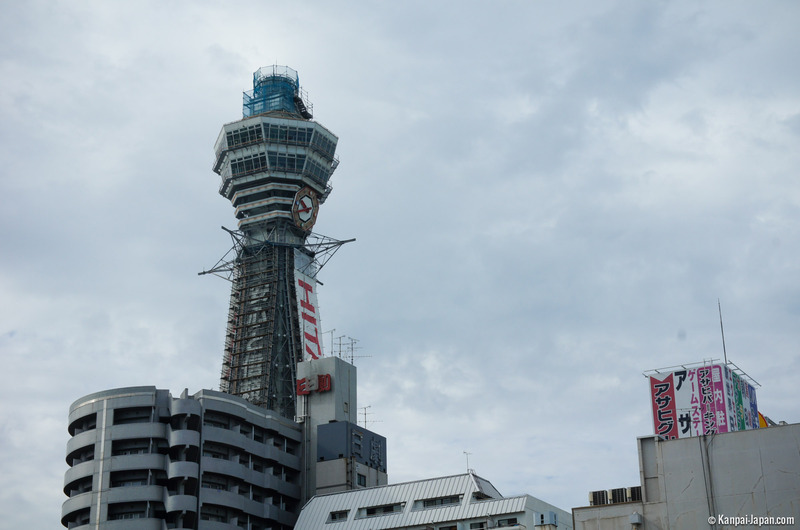 And from up close, it seems that Shinsekai is one of several representations that have shaped the image of the Kansai megalopolis as a dirtier, less compliant, more shitamachi (“lower districts”) city than some of its counterparts, i.e. Tokyo, Kyoto or Hiroshima, each a model student in its own way. 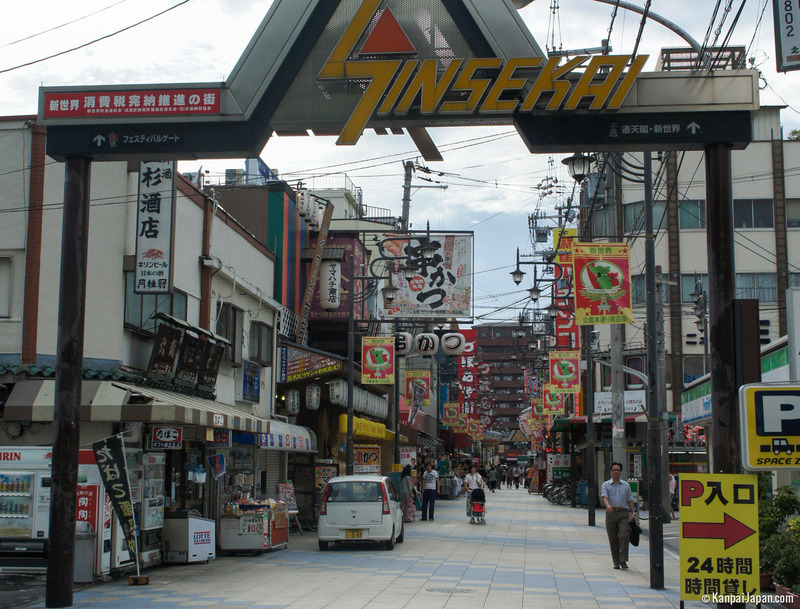 Located in the southern part of Osaka, a few meters only from the Tennoji Park, except for the speedway between them, Shinsekai has a history of its own that goes back to the very beginning of the 20th century. At a time when Japan took pride in its industrial development, it seemed important to create a district that would epitomize these new forces. 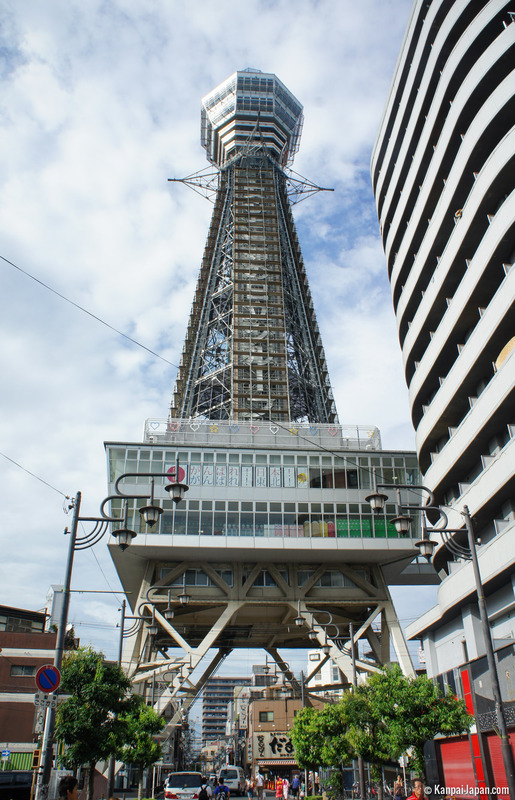 Around the Tsutenkaku symbol, a cousin of the Eiffel Tower built in 1912, the area became divided into two distinct parts with two different sources of inspiration: Paris for the northern part and Coney Island (New York) for the southern part. A Luna Park was even built there at the time although it was closed shortly afterwards in 1923. The district was partially destroyed during WWII and then fell into neglect, its old-fashioned movie theatres and other relics of the past standing witness to a bygone era. Today, it still lives up to its reputation of strong identity and authenticity, and is thus typically considered as a dangerously tortuous place… from a Japanese perspective! Indeed, despite a handful of inconspicuous homeless people and prostitutes, the level of insecurity is actually a far cry from what it is in most of the world’s large cities. As to yakuza bandits, they have not been seen in those parts since the 1990’s. 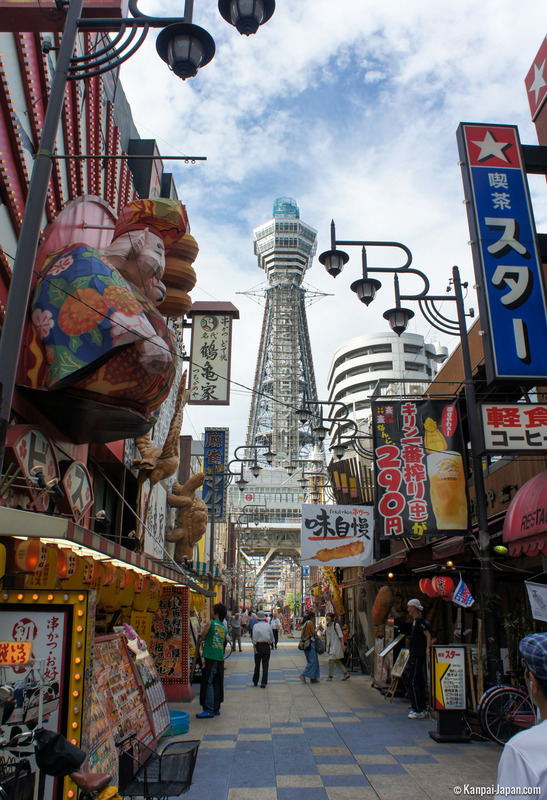 Although Shinsekai is typically portrayed as a rather tawdry, even poor district straight out of the 1960’s, it is however well worth a visit, especially for fans of Japanese cuisine who will enjoy its many small popular restaurants. The famous fugu (poisonous fish) can be found at some of these typical restaurants but the local specialty is kushi-katsu, a delicious assortment of different kinds of breaded fried meats, fishes and vegetables on skewers. The famous Spa World water centre is located directly south of Shinsekai. The district also served as the setting of anime film Jarinko Chie, directed by Isao Takahata and released in 1981.